Life is full of transitions. While it can be tough saying goodbye to a close friend or mentor, it's also a chance to celebrate your relationship. A well-phrased farewell card can help you to do that. Download and print the cards with your Adobe program. 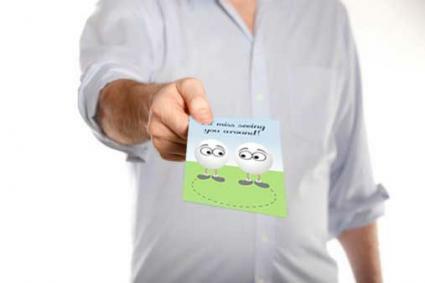 After printing, fold your sheet of paper in half to create the card. 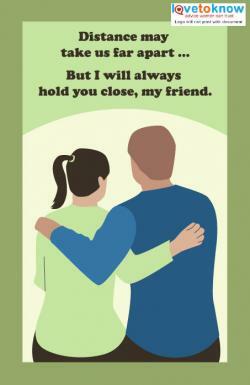 The type of farewell card to use depends on your relationship to the person who is leaving. Click to print the generic card. If the person was an acquaintance, a classmate, or a coworker you were not super close with, the generic printable card will work well. It is cordial without being too personal; appropriate to present at a farewell party or leave on a desk or chair. I'm sad to see you go, but excited about your new adventure in life! This second card is more appropriate for a friend that you are quite close to. It is designed for someone who has special meaning in your life with whom you hope to keep a connection. This card is more appropriate for presenting to someone in a private setting. 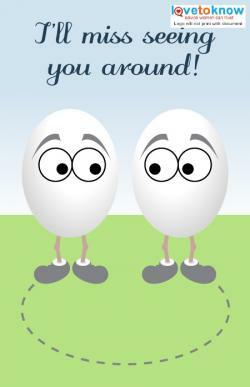 Click to print the friend card. For example, you could take her out for dinner solo before she leaves, or you could slip it into her suitcase so that she reads it upon arrival at her new destination. Who knew when we met _____ years ago that we would still be friends today. I'm so sad that you're leaving but happy that you have this new opportunity to grow. I will never forget you - ever - and I'm sure we will see each other again soon. Until then, there is always Facebook. Our friendship knows no bounds. Living on opposite coasts will not keep us from talking every day. Keep those phone lines open, friend! Click to print the teacher card. Whether you're in grade school or in college, you'll probably have a beloved teacher who decides to change jobs or retire. It can mean a lot to this person to let him know how much he will be missed. A card is a great opportunity to share the difference this teacher has made in your life as he prepares for this new stage in his life. 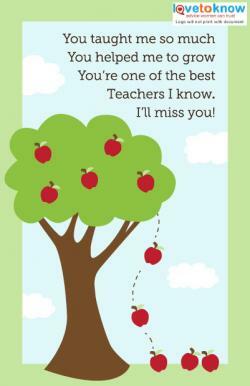 A good time to give your teacher the card is on his last day. It's likely he will get several cards at this time. Your new students will be so lucky to have you. Our loss is their gain. Congratulations on your promotion and good luck. You will do great. The generic card or the teacher card are both appropriate for young kids to use. If you're printing one of these cards out for children to use, they can simply sign their name to the card instead of adding elaborate language on the inside. You could also help them write a simple phrase like "goodbye." The messages already printed pretty much speak for themselves. Farewells can be tough, and you may think that just giving someone a card won't reflect what you really feel as you go your separate ways. You may also want to share a special photograph of the two of you or something else that will make them think of you when they look at it. As with any card, though, it's really the thought that counts.